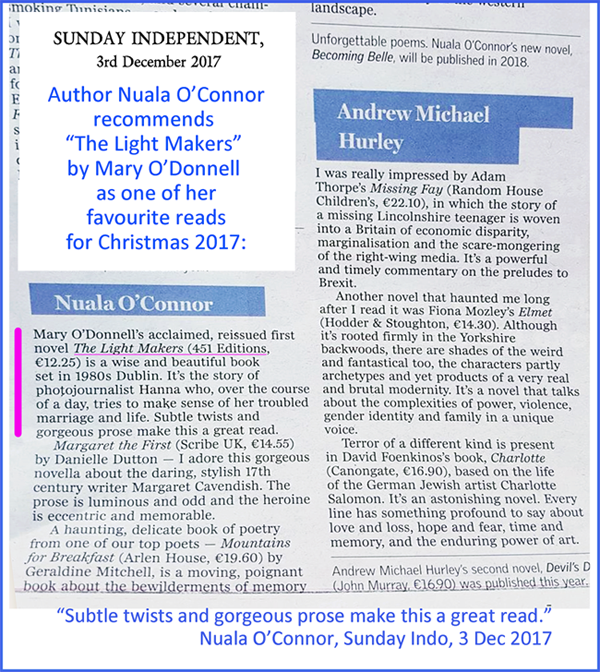 It was great to see Nuala O’Donnell recommend The Light Makers in the Sunday Independent author’s “favourite reads” of 2017, which traditionally guides book buyers in their Christmas book purchases! Nuala on “The Light Makers”: “subtle twists and gorgeous prose make this a great read”. 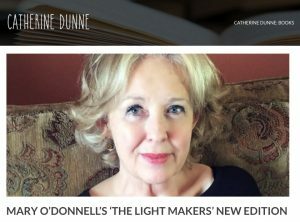 In this interview, published today, author Catherine Dunne (The Things We Know Now; The Years That Followed) interviews Mary O’Donnell about her work in general and The Light Makers in particular! 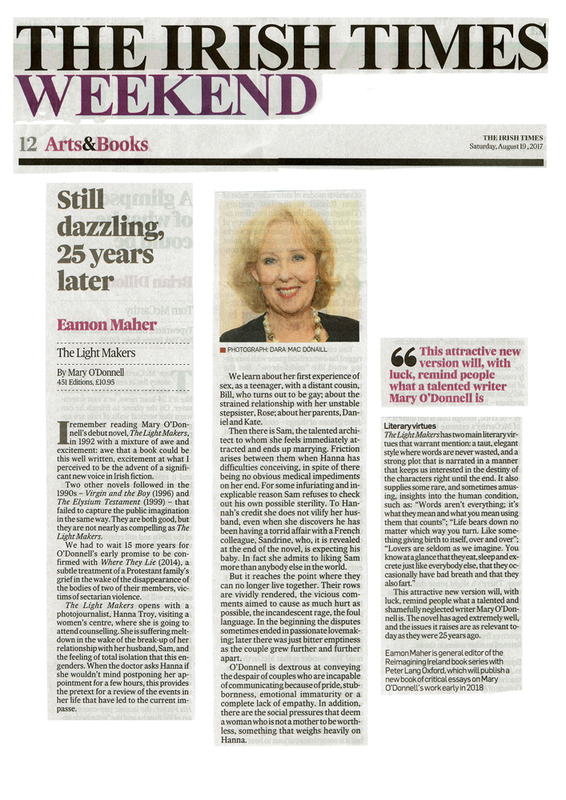 Congrats to Mary O’Donnell for this stellar review by Eamon Maher, just posted in the Irish Times Weekend Edition Book Section! Click image for live link, or here. Watch out for more to come on The Light Makers.